Recommendations on how to better prepare your trip. Ecuador is considered one of the safest countries in the Andean Region; however, it is always a good idea to be careful during your visit. Ecuador's urban centers, especially Quito and Guayaquil, are generally more dangerous than the countryside. The best way to prevent crime is to use your common sense and reduce the likelihood of being a crime victim by following a few basic precautions. In this section, we offer you some tips and recommendations on how to better prepare for your trip. You will mostly learn about health risks in Ecuador and how you can protect yourself from common diseases. Additionally, our last section about personal safety presents a general view of Ecuador’s criminal risks and will give you useful recommendations on how to visit the country the safest way possible. Although this section offers many advices and guidelines for your future trip, we recommend all travelers to visit their personal physician or doctor at least a month before departure. Depending on your itinerary, your personal risk factors, and the length of your visit, your healthcare provider may offer you certain types of vaccinations. Some vaccination processes might take longer than expected. Routine immunizations, such as those that prevent tetanus-diphtheria and ‘childhood’ diseases, should be reviewed and updated as needed. 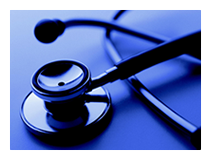 Additionally, make sure that your health insurance covers you for your medical expenses abroad. If not, supplemental insurance for overseas coverage should be seriously considered. Bring adequate supplies of medications in their original containers, or clearly labeled, and pack a personal medical kit customized for your trip. Those pages have been compiled or quoted verbatim from two web sites. For more details, please visit www.mdtravelhealth.com and www.tripprep.com. We also recommend the World Health Organization (WHO) web site for further complete information.